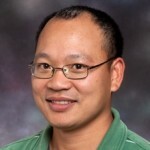 Chung Tran's primary research interests are in the areas of macroeconomics and public economics. Much of his current work is to explore the role and implications of economic policies. Some specific research topics have included; evaluating dynamic general equilibrium effects of social insurance systems including social security and public health insurance; analyzing implications of taxation; and understanding dynamic effects of public debt, fiscal stress and fiscal austerity.